Building a small business is no mean feat. If you’ve gotten yours to a sustainable state, you might be tempted to cash in. Such decisions are motivated by a range of factors, including fatigue, poor health, or a desire to move onto a new challenge. Quick sales can be achieved if you’re selling to a family member or close friend. If you’re selling your business on the open market, you’re exposing yourself to the greatest scrutiny – but the rewards often justify the ordeal. In this article, we’ll examine the selling process, and uncover any pitfalls you might encounter along the way. Rushing a sale will almost always harm its lucrativeness. In some cases, this is unavoidable – for example, a sudden change in personal circumstances might force your hand. Ideally, however, you’ll want to plan your sale at least a year in advance, and ideally two. This will allow you to draw up a timetable and collate all of the necessary paperwork. If you’ve had your affairs independently audited, then be sure to keep all of the associated reports to hand. The same goes for your tax returns, which, as we’ll see, will provide a crucial demonstration of your business’s good health. A well-formulated exit strategy, complete with checkpoints along the way, will help your sale to proceed smoothly. It’ll also provide you with time to oversee operations, which will enable the business to continue running smoothly after you’ve parted ways. Owners who are heavily involved in the day-to-day running of your business will want to step back gradually, making themselves redundant and appointing a successor. If a business doesn’t function without you, then it isn’t very valuable. Anyone looking to buy a business will be looking for evidence of sustained profitability. As such, the longer your balance sheets go back, and the more reliable they are, the better. The buyer is going to be inspecting these things in great detail later on in the process, and so it’s better to maintain an upfront approach. As well as balance sheets, you’ll want to collate other documents which demonstrate the worth of your business. These include valuations, forecasts, and a record of any liabilities. The former two are open to a little bit of interpretation, and so for them to carry weight, they should be composed by an impartial third-party auditor. If you’re a sole trader, or involved in a partnership, you’ll be obliged to inform your staff of the sale, and the reasons why the sale is being pursued. You’ll need also to make them aware of any redundancy that’s on the horizon. You don’t want to be battling your workforce while the sale is ongoing, and so keeping them informed and onside is crucial. You’re also going to be liable for capital gains tax, which will eat into the cash pot you’re eventually left with. 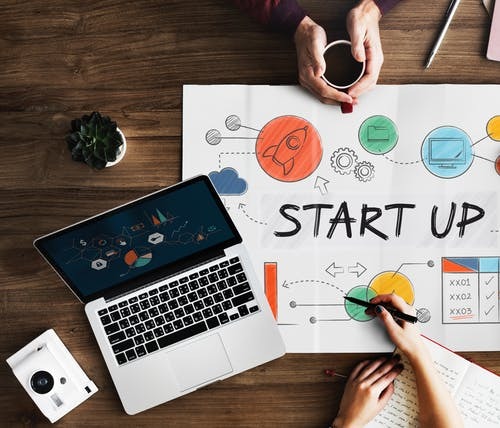 This can be offset by something called Entrepreneurs Relief, which limits the rate of tax to 10%, provided that you’ve owner the business in question for more than a year. A good accountant will minimise your liability. If you’ve made a commitment to sell, then you might hesitate to invest further in the business. While understandable, this instinct is almost always misguided. Your buyer will be poring over a long list of assets, including machinery and property. If they discover that a significant portion of these are in need of repair and replacement, then they may (with some justification) assume that the rest of the business has been similarly neglected. You might consider making improvements to the business in order to secure a more favourable final price. Such investments will need to be implemented as early as possible in the process, so that the resulting change in fortunes will be reflected as a long-term upsurge in profitability. If you’re lucky, you may already have had potential buyers express an interest in your business. Such interest may be what prompted you to consider selling in the first place! But even if you’ve gotten a buyer in place, it doesn’t hurt to cast the widest possible net. Advertise your sale widely, ideally through a reputable broker, and maintain regular contact with every potential buyer. It may be that you need to alter your choice of buyer later, and you don’t want to be cold-starting the relationship. Your buyer isn’t just going to take you at your word that your business is wonderful. They’re going to examine everything, and decide for themselves whether your claims were accurate. This stage of the process is called due diligence, and it occurs once the price and terms of sale have been agreed. Your buyer will need to see tax returns, accounts, contracts with customers, employees and suppliers, and evidence of any liabilities (or forthcoming legal action). If you attempt to withhold key information from the buyer at this point, you’re exposing yourself to serious fraud charges. So make it your mission to be as co-operative as possible. If you’ve done the necessary preparation, then this shouldn’t be too much of a challenge. Having completed the due diligence, your buyer might decide that the firm isn’t worth the mooted price. They may revise their offer accordingly, or even pull out of the deal entirely. This possibility will greatly reduce your leverage – and as such, you’ll want to have attracted a few other buyers. This way, you won’t have to restart the process from scratch when it goes badly. While the due diligence is ongoing, your legal representation should be hard at work preparing the contracts. All being well, this would allow the deal to be concluded shortly thereafter. You’ll also need to transfer things like VAT registration to the new owner, and cancel your class 2 NICs. A good accountant will be able to advise on both issues. Without professional advice, you’re almost certain to overlook some essential detail. Given the possibility of the deal being delayed or entirely thwarted, the cost of representation isn’t so unthinkable. Just think of the years you’ve put into laying the groundwork for the sale! A successful business is a rare and valuable asset. In order to get the best possible price for yours, preparation is key. Generally speaking, the more exhaustive your documentation, the better. Keep records of all your activities in the years leading up to the deal – they’ll save you considerable stress, and help to ensure the most favourable outcome.